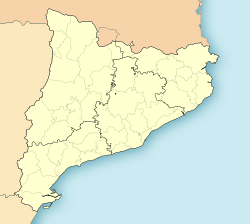 Torrelavit is a municipality in the comarca o Alt Penedès, Barcelona, Catalonie, Spain. The municipal territory is hame tae several "caves", the maist famous o which is Segura Viudas. This page wis last eeditit on 11 Mairch 2018, at 10:24.